Product information "ZigBee Router DC-Router ZBR-100"
The ZigBee Router DC-Router ZBR-100 is characterized by an impact-resistant polycarbonate housing and is max. 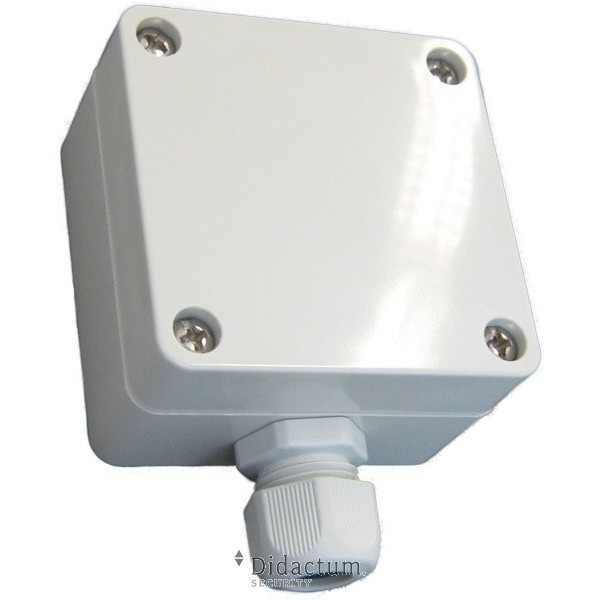 IP66 rated (cable connection is supplied). Therefore it is also ideally suited for use in humid environments such as basements. Several network parameters like signal strength (RSSI) and the ID of parent devices are also accessable and explore the actual ZigBee network topology. All steps from development, assembly, testing and quality assurance are made in germany. Customized solutions can be realized fast and reliable through our engineering team. To use this ZigBee Router you need a gateway (ZBG-100) and a pre-installed Network Management System. It is Nagios, OpenNMS or Icingia. Related links to "ZigBee Router DC-Router ZBR-100"
Customer evaluation for "ZigBee Router DC-Router ZBR-100"